Yesterday's test marked the first outing for Brazilian youngster Sergio Sette Cámara. The 18-old driver debuted at Toro Rosso and completed a productive day on the high-speed historic track of Silverstone. 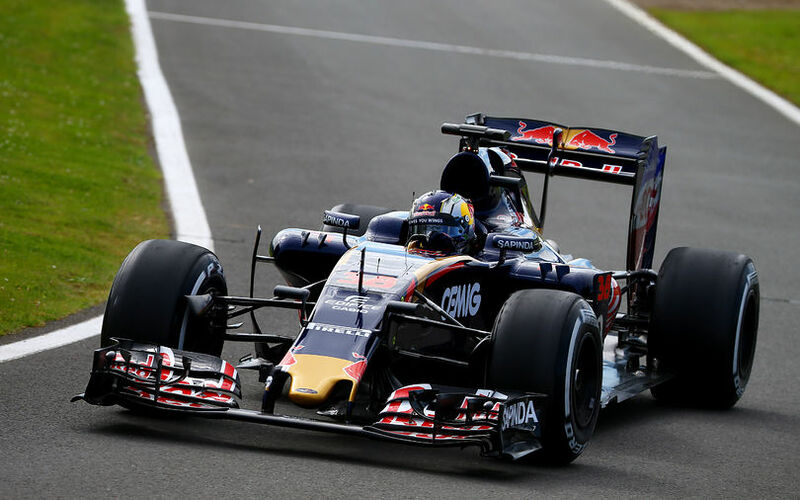 The Brazilian completed a total of 82 laps and enjoyed his first day on a proper F1 test day. “It was a good day, I’m happy! I had a lot of fun out there and it was great to work with a big team and drive at such an historic track like Silverstone – it’s even more impressive to drive a Formula 1 car here." The weather proved to be nice as only a few raindrops hindered the programme around the midpoint of the day. That meant the Red Bull-backed talent could run without big interruptions all day long. Toro Rosso's chief race engineer Phil Charles was also happy with the progress Sette Cámara made over the test day. The team prepared a specific young driver test programme to enable to inexperienced driver to get used to the F1 environment. “I think Sérgio Sette Câmara has done a good job for us today: considering it is his first day in an F1 car at a test, I think he has acquitted himself well." "During the morning he completed long runs, allowing him to settle into the car. During these, he worked through several procedures and familiarised himself with many of the functions available to him on the steering wheel." The team started concentrating on getting the best pace out of the car before the lunch break. "Once he had settled in to representative lap times, towards the end of the morning, we started to work with him to help him get the best use of the Pirelli tyres. " Sergio Sette Cámara has driven in FIA F3 since 2014. In his first year he only completed one race weekend and he joined the Motorpark team last season. The team retained his services for this year. Cámara's best result so far is third place which he has achieved three times. The youngster has showed good speed this season, but he has been unlucky on a couple of occasions and has five more rounds to impress.